BCZ.com Logo Redesign! 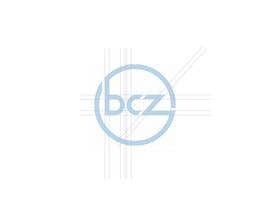 Selected artwork "bcz" logo will be used in all our marketing collaterals and across 450,000+ websites serving millions of hits monthly! we don't want it to mean anything specifically, not limited to a particular thing so to be used as future proof branding. IMPORTANT Criteria : Minimal, Clever and something people will tattoo on, top 50 brand feel, golden ratio-ed (optional but bonus). 2. Simple and minimal enough for people to want to tattoo on their body, not too much ink area. As minimal as possible to "save ink". 3. Able to be used as browser favourite icon or mobile app icon. 5. bcz should be in small capitalization for all letters if possible or big caps for all letters. not mixing big and small caps. preference is small cap first but we will also consider big cap for all letters. 6. Logo icon with word "bcz" positioned at bottom or right side of icon. or simple DELL / HP round logo etc. totally up to you to give us ideas. c) though ethereum needs more ink but outline can be so, which is also good. d) We want original and clever ideas, attached for reference only, can be disregarded. Concept and original ideas need provide. We can always engage others to do the vector artwork etc so important thing is the idea-concept of the logo. The logo will be used on the website [login to view URL] and we will revamp the website based on this logo designed by you. PLEASE IGNORE ATTACHED ARTWORK. FOR REFERENCE ONLY. Do come up with original ideas / concept. Thanks. TAKE NOTE: WE WANT A LOGO WHERE MOST PEOPLE WILL WANT TO TATTOO ON THEIR BODY / ARM. Join [login to view URL] for faster response / question / feedback! Thanks in advance! she deserve this barbecue she does not know what she really wants A lot of Designers put here designs with much of concentration and try to deliver very expensive work here but all in vain because she does not know about what actually she wanted. So best of luck for others and for winning contestant . Guys, #805 is definitely a must see which suits all your requirements. you really dont have a way to run any of contest. I already told you about what you really wanted share here on wall but you just putted your hand on rejection button with seeing what is going on. after a month you get only 1 design remaining. Do you think you are going in proper track ? Please check hope you like it creative update regards syed ! what would you like can you give us some examples so that could get a better result. Thank you. hi Madam If you comment either Privately that will raise up more good result for getting your goal exactly. Thank you. Hi I have submitted you a lot of designs but without commenting on them you rejected ? can I ask you the reason. #436 thanks please check my all creative and original work regards syed ! Hi, Please check #264. Thanks !